Date: Tuesday, 10th October 1978. Competition: League Cup Third Round. Score: Sheffield United 1 Leeds United 4. Scorers: Sheffield United: Calvert. 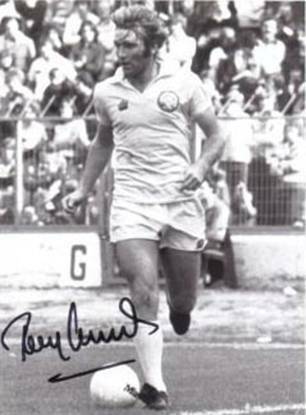 Leeds United: Currie, F. Gray, E. Gray (2). 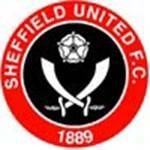 Sheffield United: Johns; Cutbush, Calvert; Kenworthy, Matthews, Speight; Anderson, Harwood, Finnieston, Sabella, Hamson. Unused Sub: Franks. 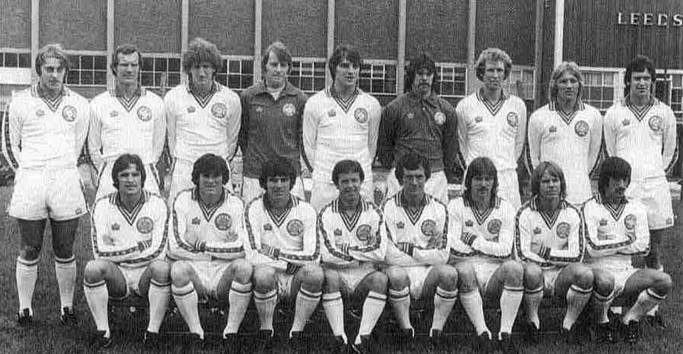 Leeds United: Harvey; Stevenson, Cherry; Flynn, Hart, Hampton; E. Gray, Hankin, F. Gray, Currie, Graham. Unused Sub; Harris. Although Leeds United failed to maintain the same consistent challenge for First Division honours under Jimmy Armfield that they did under Don Revie they did enjoy some notable successes. Taking over from Brian Clough just a few weeks into the 1974-75 campaign, Armfield took them to the final of the European Cup and to an epic four game FA Cup quarter-final with Ipswich Town that same season. In 1976-77 they were beaten by Manchester United in the semi-final of the FA Cup and the following year they reached the semi-final of the Football League Cup before losing over two legs to Nottingham Forest. However, Armfield lost his job at the start of the 1978-79 season and his replacement, Jock Stein, went forty-four days later, after seeing the side take three games to overcome West Bromwich Albion in the second round of the League Cup. That win clinched a tie with Sheffield United at Bramall Lane but with team matters in the hands of regular ‘stand-in boss’ Maurice Lindley, there was an air of uncertainty about the club. 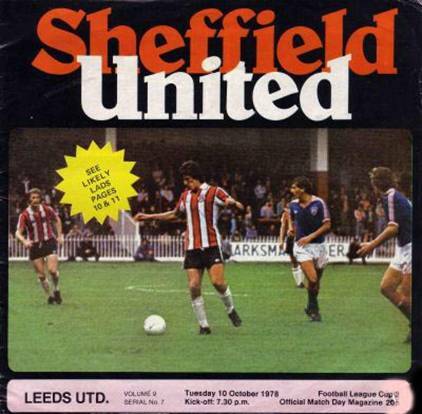 Sheffield United and Leeds United had been involved in a number of First and Second Division Yorkshire derby games over the years but on this occasion Leeds were well established in the top flight while the Blades had been relegated in 1976 and were battling for survival in Division Two. However, a superb 1-0 win over Liverpool at Bramall Lane in the second round, courtesy of a goal from midfield man Gary Hamson, had booted morale and many felt the scene was set for yet another form book upset. After an uncertain start Sheffield United went into this game having won two and drawn one of their four preceding games while Leeds had little reason to be confident having won only one of their last five games and occupying thirteenth place in the First Division table. The two clubs had met twice before in FA Cup-ties in 1935-36 and 1967-68, but this was an unofficial decider, having each won once. 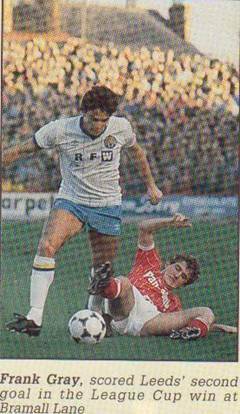 Gary Hamson and the Argentinean Alex Sabella, both later to join Leeds, were in the Blades line up along with experienced ex-Arsenal defender John Matthews and former Chelsea striker Steve Finnieston. 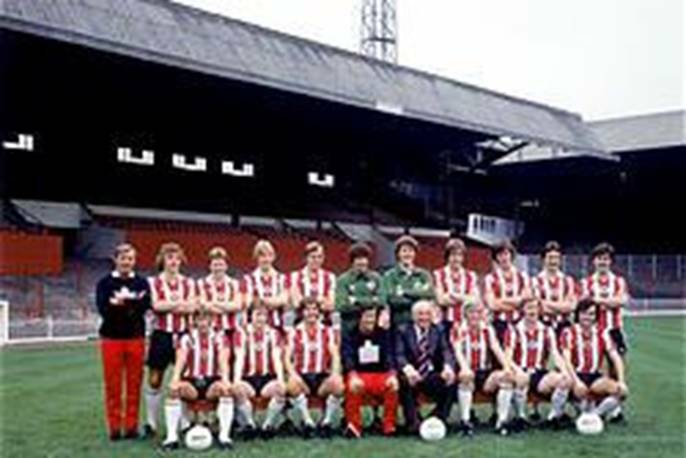 It was, however, former Sheffield United and England midfield star, Tony Currie who turned on the magic for the 40,899 fans at Bramall Lane that night. The supreme showman showed a classic sense of timing to return in style to his old Bramall Lane stamping ground and let the home supporters see what they had lost, when he fired Leeds ahead after thirty-two minutes. The midfield artist had not played since limping off against West Bromwich Albion in the previous Round and it was touch and go whether he would be fit to face his old team for the first time since leaving them for Leeds two seasons earlier. Not only did he win his fitness battle but he opened the scoring and set Leeds on their way to a convincing victory over the Second Division Blades. 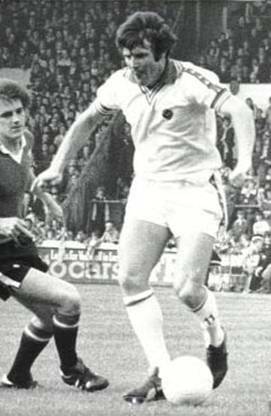 Currie timed his run to perfection as Ray Hankin’s head flicked on Brian Flynn’s long ball and ran on to steer the ball past Nicky Johns before blowing kisses to the travelling Leeds fans behind the goals.Tony Currie, the darling of both the United’s was involved in an absorbing battle with skilful Argentinian star Alex Sabella, which Currie just shaded. 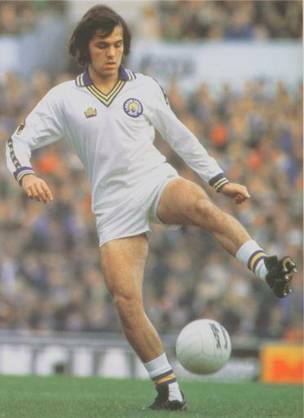 The South American and fellow midfielder nineteen-year-old Gary Hamson, later both followed Currie up the M1 and joined the Elland Road payroll. It only took United two minutes to double their advantage. Frank Gray carried the ball unchallenged for forty yards through the mist and curled a tremendous shot round Nicky Johns into the top right hand corner. 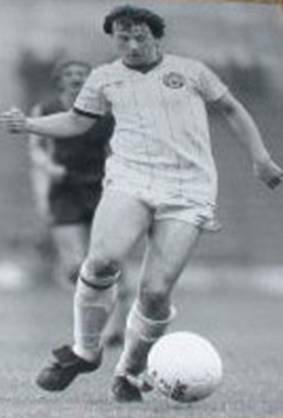 Only a third of the match had gone and Leeds had established a firm grip which became total command when Nicky Johns could not hold Brian Flynn’s free-kick one minute after the interval and Eddie Gray tapped the ball in at the Shoreham Street end. Former York City defender Cliff Calvert did manage to get his name on the score-sheet in the sixty-sixth minute. His shot from the edge of the area that went in off the underside of the bar but it was to no avail. Ten minutes from time Eddie Gray got his second and United’s fourth goal, with another gift as he knocked in a loose ball after Tony Kenworthy had blocked a shot from Arthur Graham. His goal ensured that the effort from Calvert was no more than a consolation and United chalked up a superb 4-1 win to clinch a fourth round tie with Queens Park Rangers. Unfortunately Wembley ambitions were thwarted once again at the semi-final stage, for having beaten QPR and then Luton Town, the incoming manager Jimmy Adamson saw his side go down 2-3 on aggregate to Southampton in the semi-final. Jim Brown, Steve Conroy, Steve Finnieston, Simon Stainrod, Mike Guy, Andy Keeley.